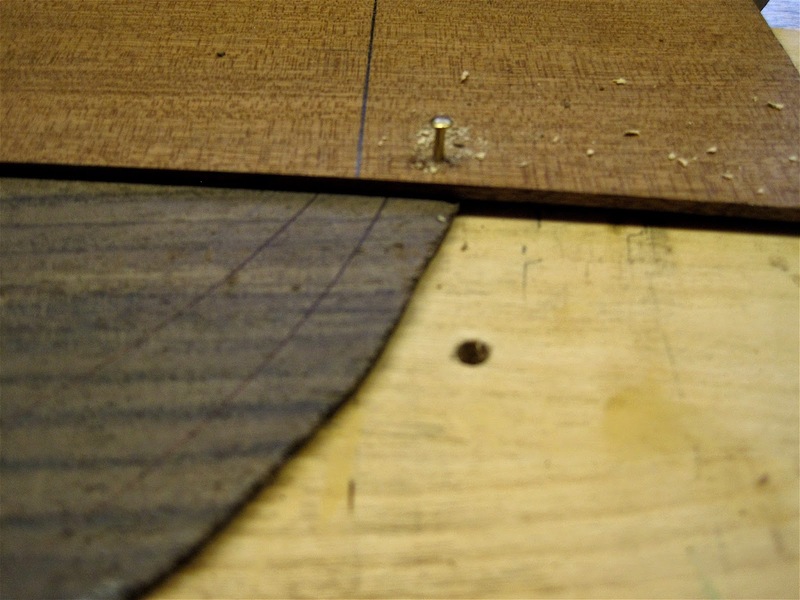 It is important to make a nicely fitted joint. 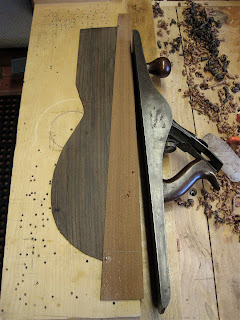 I picked up a back and side set of "wild grown" east Indian rosewood from the Woodcraft Store in Loveland, Colorado a little over a year ago. I remember that Woodcraft had advertised this wood on their website then and by the time I got around to ordering it they had sold out. I think it sold for $49.99 a set and I bought this set for $70. 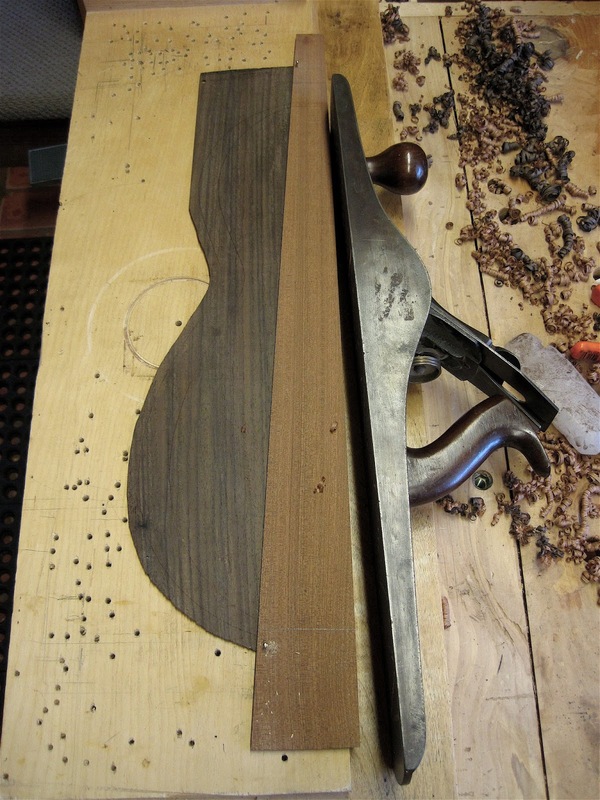 Originally, I had planned to make with this rosewood was going to be simply fitted with bubinga bindings, nothing fancy, but after glueing in a bit of bubinga between the two back halves I realized my mistake. The reddish bubinga disappeared in the field of browns and olive greens. First thing I did was to cut the back apart with knife and straight edge, then I spent some time going through my wood cache. 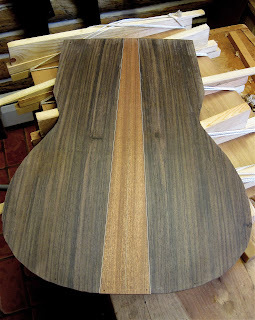 Curly maple was too showy and I had already fitted out the last two guitars in maple; California laurel didn't look right; walnut, nope; another piece of rosewood? Then I found some sapele. It fits well with the rosewood and compliments the western red cedar top that will go on this guitar. The no.7 Stanley plane in this photo is now one of my favorite planes, it is remarkable how easily you can adjust the blade depth on these vintage planes when you use the original blade and there is very little backlash. This jointing operation was a little tricky, I didn't have much excess wood in which to place indexing pins. I used an original hole for one pin and then I had to use a brass brad for the lower bout. Sorry about the fuzzy photo! Ah, the glue up! White/black purflings border the sapele insert and I used Lee Valley High Tack Fish glue to glue the whole thing together. The back after clean up. It's always nice when you can fix a mistake and make everything look better! Here's a YouTube of the wonderful guitarist, David Russell! What holds the Holy of the Holies, what did Brahma become? Wood. Why will aspen always tremble? For the nails driven into the cross. What makes the color of wood? The soil it tastes. Cradle, fiddle, coffin, bed: wood is a column of earth made ambitious by light, and made of beauty by the rain. Kim R. Stafford, Having Everything Right, 1986. Shake, verb, (Middle English), to split. I will cite the case of a marvelous concert player, a Japanese lady who is barely 5 ft. tall and with hands that are real miniatures. She plays a 664 mm 10 string guitar and demanded that I build this guitar with an action 1 mm higher than normal, which she handles with incredible ease. This is serious study! Here is the hand size and scale length that I found on the forum at delcamp.com. Here is my flexible imperial/metric ruler. Here is my hand properly placed on the flexible imperial/metric ruler. Ours is really a simple craft. 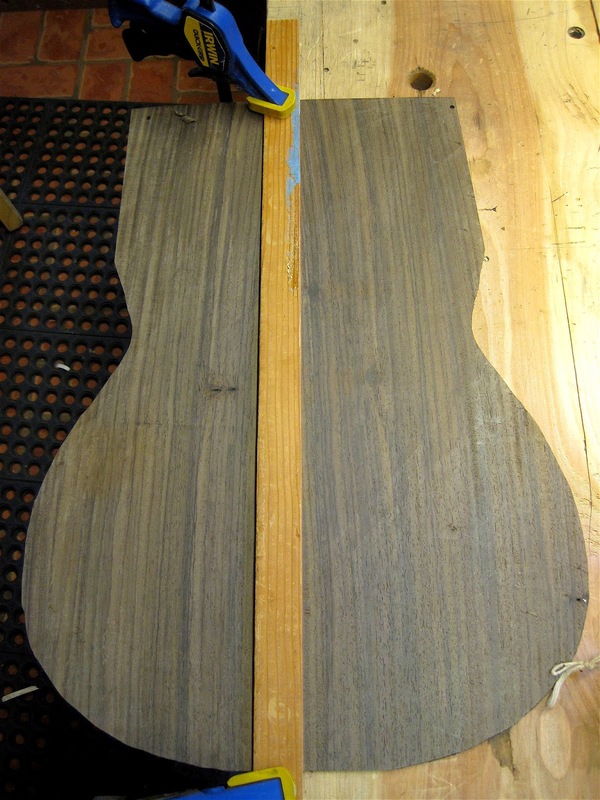 So, you want to build a guitar. 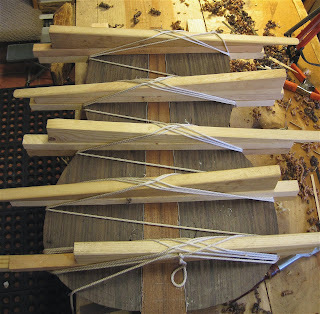 Since the original post, Basic Hand Tool Kit for Guitar Making, click here to see it, is the most popular post on this blog, I thought I would revisit it and adjust it to what I am using now to make a classical guitar. 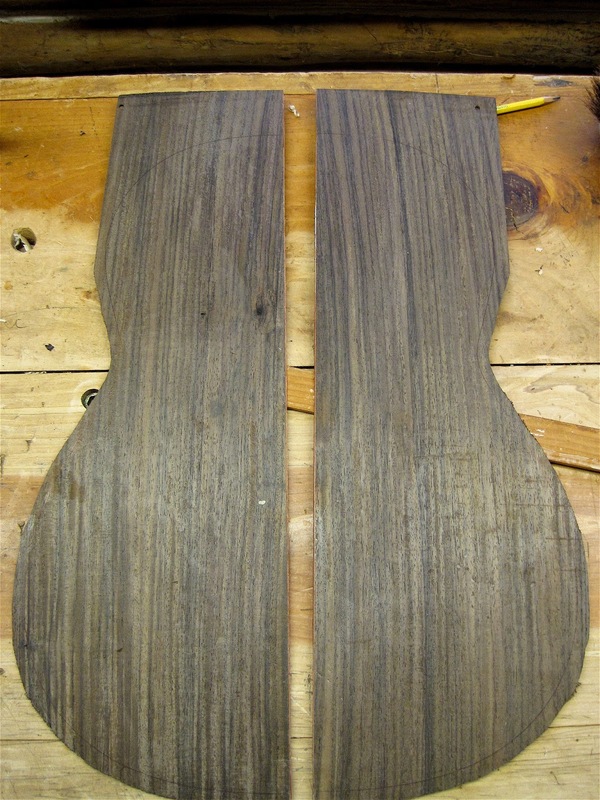 These are required reading before you begin making a guitar.